The talent and experience of our staff at Process and Data Automation are the keys to our success and to that of our clients. As a PDA team member, you will have the opportunity to participate in a wide variety of rewarding projects, across the United States. At PDA, you will find that working in our enthusiastic and collaborative work environment fosters strong team relationships and offers many opportunities to expand your skill set. Choose a career with PDA and check off your remaining to-do boxes! Equal opportunities for all applicants and employees. Vacation with two weeks from your first year. Flexibility in work schedule that allows you to balance your personal and professional life. Dental coverage, LT/ST disability coverage, and life insurance. Whether you have recently graduated or you are a seasoned technical professional looking to explore something new, Process and Data Automation would like to hear from you! As an Engineering Project Manager, you will be managing all aspects of high-value engineering projects, as well as having a hands-on role in the planning, designing, and execution of those projects. This position is responsible for coordinating the project team assignments, providing regular updates to all stakeholders and monitoring progress against the work plan to assure that objectives are met. CLICK TO READ FULL JOB DESCRIPTION & APPLY TODAY! The Controls Engineer serves as a member of a cross-functional project team and has the responsibility to independently execute medium-sized tasks and projects and Professional Service Contracts. This position is responsible for the engineering, design, integration, programming, and troubleshooting of Programmable Logic Controllers (PLC), Human Machine Interfaces (HMI), and Industrial Networks for systems to support productivity and/or quality improvements for our clients. The Engineering Technician serves as a member of a cross-functional project team and has the responsibility to independently execute tasks on Projects, Professional Service Contracts, and Service Calls. This position is responsible for the engineering, design, integration, programming, and troubleshooting of Programmable Logic Controllers (PLC), Human Machine Interfaces (HMI), and Industrial Networks for systems to support productivity and/or quality improvements for our clients. Due to continued growth and potential, there is an immediate opportunity in our Digitization Group for an experienced Solutions Architect. Primary responsibility will be developing web and database applications for industrial automation projects. Must be versed in the Software Development Life Cycle (SDLC) and have experience taking a project from inception through completion. The Digitization Technicians will be responsible for the configuration, installation, and general implementation of proposed customer solutions. This will include the installation/configuration of physical computers, virtual machines, network devices, databases, third-party software applications, and general application programming. As a Systems Project Manager, you will be managing all aspects of high-value networking projects, as well as having a hands-on role in the planning, designing, and execution of those projects. This position is responsible for coordinating the project team assignments, providing regular updates to all stakeholders and monitoring progress against the work plan to assure that objectives are met. The Senior Industrial Network Specialist will be responsible for the design and maintenance of networks, and virtualized computing systems. This will include the physical setup of network devices, cabling, and other infrastructure. Virtual systems will include the conversion of physical computers, virtual computer development, and server-based architectures. We are looking for a motivated professional to work in these market segments which would include any manufacturers who embrace software in a manufacturing setting. CLICK TO READ FULL JOB DESCRIPTION AND APPLY TODAY! The Outside Sales Engineer will work under direction from our Sales Manager, utilizing existing skills while constantly expanding in the ability to service clients’ needs. In this position, you will be involved in all facets of the sales process including prospecting, relationship development, value determination through problem/need identification, quoting and account management. As a Technical Sales Administrative Assistant, you will be providing analytical and clerical sales support to the sales team. The ideal candidate should be a technically inclined, detail oriented, self-starter with the ability to learn quickly and be able to manage multiple priorities while working with minimal supervision. Due to continued growth and potential, there is an immediate opportunity in our Engineering Group for an Electrical Engineering Intern.This is an entry-level position. You will work under the direction of a seasoned Engineer, receiving specific and detailed instructions for required tasks and results expected. This job will afford you the opportunity to gain valuable job experience on customer projects. We are looking for an enthusiastic and talented individual to join our organization! 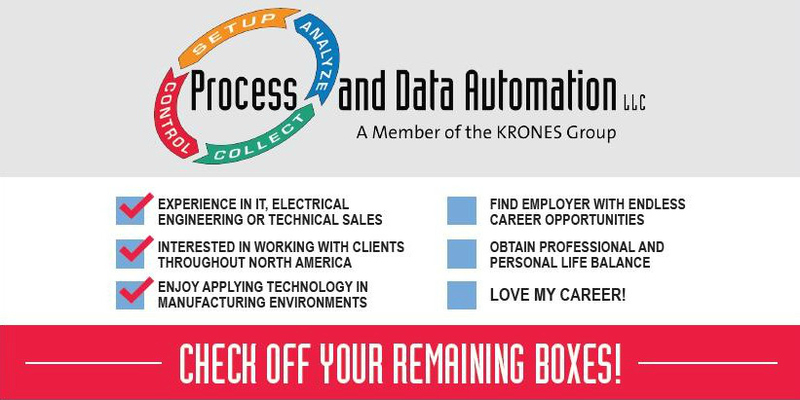 You will have the opportunity to work with the acknowledged leader in the field of liquid food packaging and consumer goods, Krones, Inc., via their subsidiary provider for these services, Process and Data Automation. Process and Data Automation is the premier Control Systems Integration and Data Services. We invest in our employees’ professional development, knowledge, and expertise in areas that best meet our client’s needs; focusing on continuous growth in our core automation business, data services, project management and new business partnerships. We are recognized for our superior service, philosophy of continuous improvement and 100 percent client satisfaction. Integrity – Projects and other commitments are completely assessed so we can live up to our end of each agreement. Clients can rest assured that we’ll not take on projects outside of our capabilities. We never cut corners and if problems are discovered they’re made completely visible to the client as we work on solutions. Competency – Our staff has vast capabilities and skill-sets that are a tremendous asset to peers and clients alike. Determination and Perseverance – Our staff is determined to give our clients their best. Client Satisfaction – In every phase of a project: from initial scope development; flexible scheduling; technical development; and through deployment, training, and support our clients know that their interests are at the top of our list. Process and Data Automation was founded in September 2002. 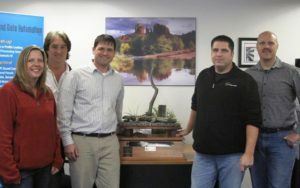 From our humble beginnings to our current location in Erie, PA, and our expansion into other territories, we have built our company on a reputation of professional solutions and promises delivered! Since our inception, we have featured both controls and information automation expertise. 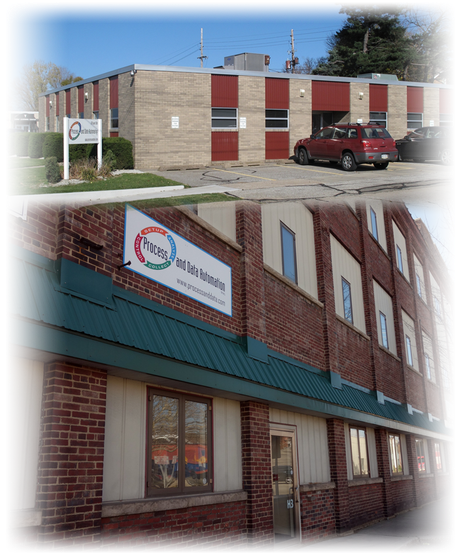 Through the years we have expanded to include full control system detail Design services, Project Management services, a comprehensive Intern program, and a Technician team. A dedicated training room used for the training of our staff, client teams, and more. Management of our Technician team. Management and housing of our Intern program. Management of our Penn State Erie, Behrend College, Senior Design activities.